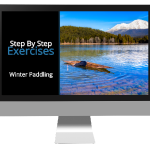 This course is about dressing to stay warm and agile for winter paddling. And mastering all the critical skills you need to stay in control. Like bracing, rolling, turning in the wind, edging in waves, and paddling against a headwind without straining yourself. Know when the conditions are safe for you, so you avoid getting in over your head. 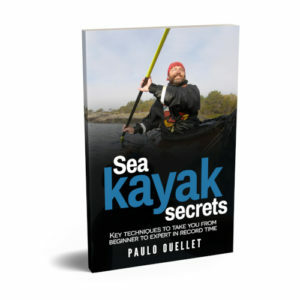 And what specific “weak link” skill you need to master to open you up to greater kayak control. Why dressing to be toasty warm can create bulkiness that makes it awkward to move. And how to avoid that by knowing what to wear and how to layer in a way that makes temperature adjustments easy to make while you paddle. 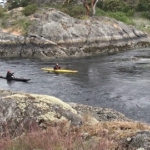 What makes paddling in a head wind easy. And avoid feeling the pain of trying to move molasses and feel like you are getting exhausted without making no progress. How to feel secure in the waves as you paddle, no matter where your paddle is, so you don’t end up capsizing unexpectedly. Bracing without slowing down. “Wearing your kayak”-It’s about moving like the kayak is a part of you, and how to master it quickly to make going in the water a non issue. The secret to edging and turning in the waves without the risk of a capsize. 2 ways to stay on course without slowing down, in a way that gives you an instant brace that keeps you from capsizing. What this short storm paddle can do to make paddling in the wind easier. And how it will help you get a more effective brace and roll when you need it. Warning. Rolling in the waves without practicing this technique could leave you going for a bad swim.